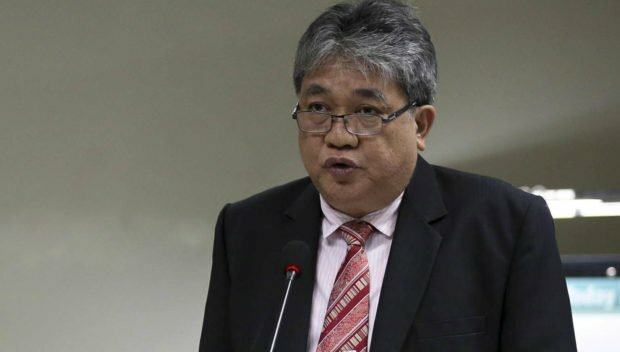 Malacañang has suspended Overall Deputy Ombudsman Melchor Carandang. Advertisement Violation of (Section) 3k of RA3019 in relation to Section 2 Rule 5 of OMB, Administrative Order No. 7 for divulging valuable information of a confidential character acquire by his office or by him an account of official position to unauthorized person or releasing such information in advance for its authorized released date. Roque said the charges against Carandang were pursuant to a complaint filed by lawyers Manuelito Luna and Eligio Mallari. Carandang was facing an administrative complaint for revealing the alleged details of his agency’s investigation into the Duterte family’s wealth.